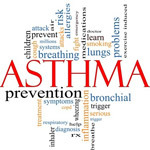 WEDNESDAY, May 7, 2014 (HealthDay News) -- People with asthma could be at higher risk of bone loss, new research suggests. But it's not clear how the two conditions might be related. "We know prolonged use of corticosteroids in the treatment of asthma is a risk factor of osteoporosis, but we haven't had definite data showing the relationship between asthma itself and bone loss," study author Dr. Jae-Woo Jung said in a news release from the American College of Allergy, Asthma & Immunology (ACAAI). "This study has shown a meaningful association between the two conditions, even in the absence of previous oral corticosteroid use," noted Jung. The researchers studied more than 7,000 people, including 433 with asthma. They found that bone density in the lumbar spine and femur was significantly lower in those with asthma. "It is difficult to pinpoint the cause of bone loss in this subset of patients," said allergist Dr. John Oppenheimer in a statement provided by the ACAAI. "Reasons can include corticosteroid use, low levels of vitamin D or even race. This research has unveiled findings that need be further studied," he said. Although steroid treatments for asthma may be a possible link to bone loss, no one should stop taking these drugs without talking to their doctor. "Asthma is a serious disease that can be life-threatening," Oppenheimer said. "It is important that those with asthma and other breathing problems continue their prescribed treatment. It is also imperative that allergists discuss the potential of the disease itself or as a consequence of therapy in asthma sufferers." Side effects from corticosteroid treatment are generally more evident with oral forms of the drugs instead of inhaled, though oral steroids are more effective. Doctors prescribe inhaled corticosteroids whenever possible. If oral corticosteroids are necessary, doctors will prescribe the lowest effective dose to help avoid side effects, according to the ACAAI news release. The study appears in the May issue of Annals of Allergy, Asthma & Immunology.